This design makes a difference using different material combination at the same time. Closed wardrobe, hidden drawer and the long wooden feet design characterize this product. 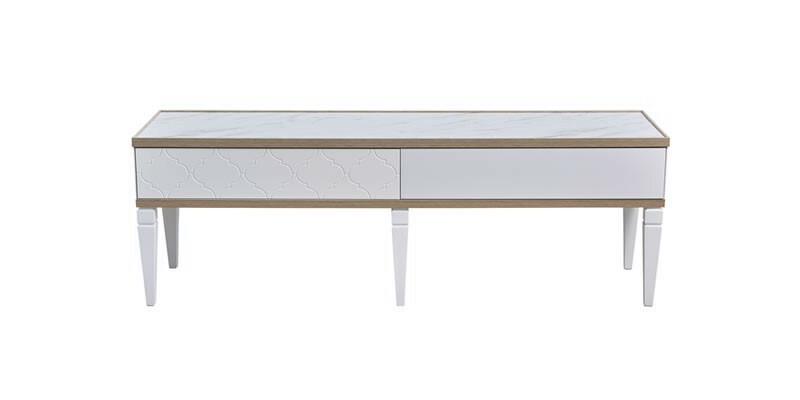 While the traditional Moroccan details of the eastern cultures reflect the east design story, drawers and doors with its 3D effect and marble looking surfaces with the edges having fine lines reflect modern design combined together with tradition. The dining table draws attention with the feet design.There are round medium and hexagonal multifunctional smaller size tables that are compatible with the collection as decoration at the same time..They can serve for different purposes as make-up table in your bedroom or servise table in your hallway or living room.